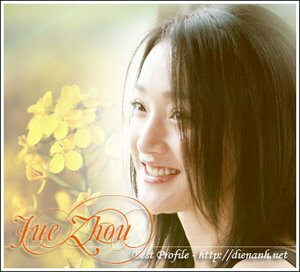 Zhou Xun: Fortune smiles on Takeshi ! Takeshi Kaneshiro first joined showbiz in 1992 as a singer but turned to acting a few years later after receiving offers to act. He went on to star in acclaimed films such as Wong Kar Wai's Chungking Express and Fallen Angels, Johnnie To's Turn Left, Turn Right and Zhang Yimou's House of Flying Daggers, which was nominated for best foreign film at the Golden Globe Awards in the US. A big star in Hongkong and Taiwan, the half-Japanese, half-Taiwanese actor's popularity also extends to Japan, where he has starred in high-profile movies including Space Travellers and Returner. Takeshi, 32, has also found success as an international print model for the designer label Prada and has appeared extensively in advertisements all over Asia. In his latest film, Perhaps Love, he plays actor Lin Jian Dong, the star in a new musical helmed by renowned director, Nie Wen (played by Jacky Cheung). Lin's co-star, Sun Nan (Zhou Xun), is an old flame from a decade ago. Sun is in a relationship with Nie, who made her a star. When the ex-lovers meet at a press conference, Lin is hurt by Sun's indifference towards him. Directed by Peter Chan and produced by Andre Morgan, the US$10 million (RM38 million) film also stars Korean actor Ji Jin Hee. Chan, Morgan, Zhou Xun and Takeshi were in town recently to promote the film. The actor spoke to theSun about the movie. It has been 12 years since you last came to Malaysia. How do you feel? Yes, it has been 12 years since I've last visited Malaysia. Back then I was doing promotional work for my album. After such a long time, it feels fresh to be here again and I think Malaysia is more beautiful now. You have evolved from a singer to an accom- plished actor. What inspired you to change from singing to acting? When I first started out, I thought that singing was more suitable for me but later I felt acting was what I could do better. Coming back to the film, how does it address the subject of love? Basically, it tells what we have gone through and our growing pains. It tells us that our view towards love might have changed from 10 years ago compared to now. Do you have plans to release any albums in the near future? I feel very happy singing here. The only regret is that I did not have the opportunity to duet with Jacky Cheung. But I feel great having taken part in this project, this `work of art'. But I have no plans to launch any albums. What is the most challenging aspect for you in this movie? Is it the intense love story or some other thing? For me, it's more on the emotional part. I only sang and did not have to dance in the movie. Do you think you can best express yourself with emotionally gripping characters? I think it all depends on how the character develops and how best an actor can suit the character. I feel if I play an emotional character in a movie and the audience leaves the hall feeling sad, or if I play a comedic role and the audience leaves the hall laughing, then I have succeeded. Did this movie change your perspective on love? I think Lin Jian Dong's character reminds me of how our feelings of love change over a period, say 10 years. But it reminds us that it is also important to love ourselves.